Strong together. Or for this couple, more creative together. Kirsten McCrea and JP King embody what it truly means to support and encourage your spouse - not matter what endeavour they choose to pursue. For this creative couple, working together wasn’t exactly their plan. But they’ve figured out how to thrive as both business partners and life partners. Kirsten started Papirmass back in 2008 and together they have grown the business from a few hundred subscribers to over 1500 people from around the world. They source, design and package everything that gets sent out each month. On top of following other creative pursuits. She’s collaborated with major brands to bring their vision to life, such as Facebook, Honda, Telus and Fido, just to name a few. And she’s also the founder of Papirmass - which came out of a desire to have unique art from around the globe. Kirsten and JP would be the first to tell you that they didn’t necessarily know what they were going to do with their lives after completing art related degrees. Being an artist is like having your world scrutinized day in and day out. It takes a lot of hard work, perseverance and willingness to stumble, fall and get back up, in order to succeed as an artist. And they’ve done just that. But they now do it together. And they wouldn’t have it any other way. How did Papirmass come to be? What was it like when you were starting out - now that you’ve been in business for 10 years? Who’s idea was it to go into business together? Biggest challenge you’ve had to overcome as business partners? 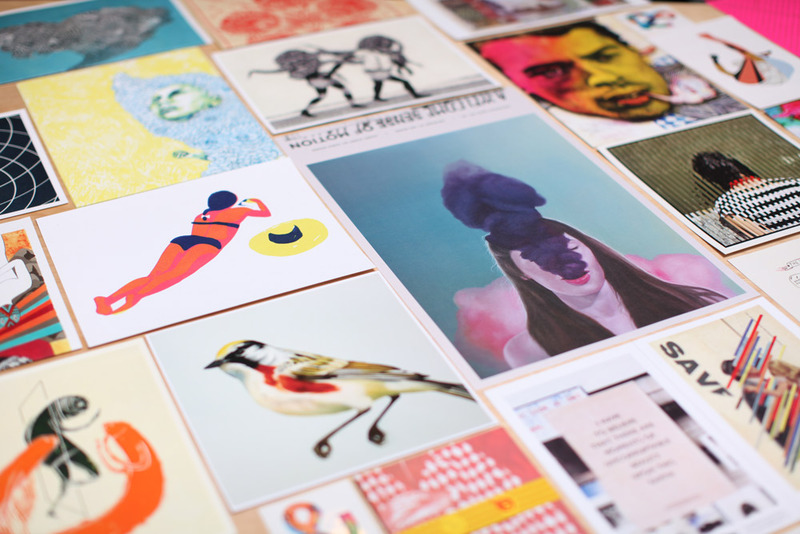 How do you curate all these wonderful artists?